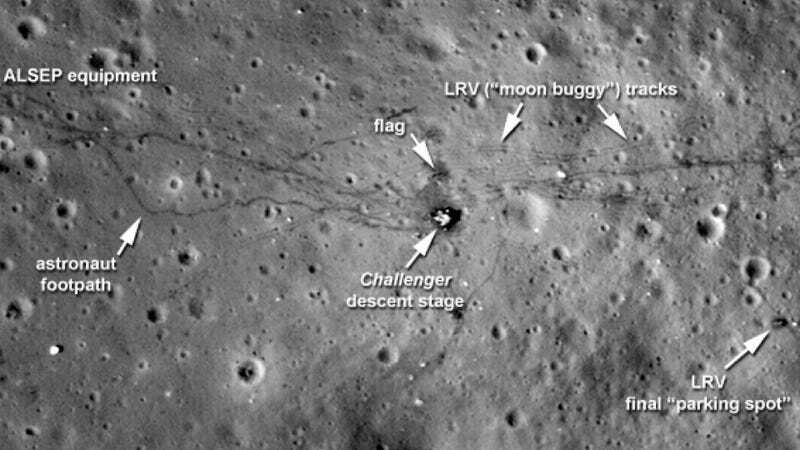 The Lunar Reconnaissance Orbiter's cameras have just captured some stunning photographs of the tracks that humans left behind at the landing sites of Apollo 12, 14, and 17. You can see everything from astronaut footprints, to the tire tracks from the lunar rovers. Click the images to embiggen! See more images at NASA.